At seismic frequencies and below, the standard theory for understanding the fluid dependence of velocities in rocks is that due originally to Biot, as simplified by Gassmann for micro-homogeneous rocks. However, despite its near-universal acceptance for over 68 years, its experimental support is extremely thin. The Gassmann simplification relied upon an improper application of a theorem by Love, this error makes the theory inconsistent with effective-medium theory for rocks containing cracks. In any case, all natural rocks are micro-heterogeneous. Brown and Korringa generalized the Gassmann theory to include micro-heterogeneous rocks, through an additional parameter, which must be measured by experiments, and is not to be found in handbooks. The additional parameter also restores consistency with effective-medium theory. Most applications to 4D seismic data assume that the compressibility of the solid is limited by the Voigt/Reuss "bounds". 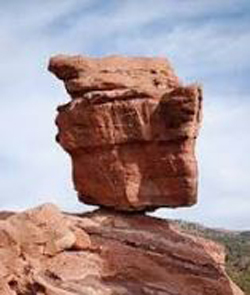 However, those "bounds" are not absolute limits, but are subject to an assumption of solid micro-geometry that is not necessarily true for sedimentary rocks, and has been generally overlooked for 67 years. The Brown and Korringa theory is reformulated exactly to implement these points. These conclusions are supported by static compression experiments reported by Hart and Wang, which avoid the high-frequency problems with ultrasonic data. With the Gassmann simplification avoided, and with experimental determination of the solid incompressibility, the B&K theory accounts well for the data, at all pressures of geophysical interest. For field applications, where compression data (required to estimate the corrections) is unavailable, plausible upper limits for these corrections to the "VRH Gassmann theory" are derived. A failure to include these considerations in estimating this fluid dependence can lead analysts of 4D seismic differences to mistakenly attribute them, in part, to other causes related to porosity, fluid pressure, or fluid compressibility, all of which can have economic implications for the operator. Thomsen’s industrial career began in 1980, at Amoco’s famous Tulsa Research Center. In 1995, he moved to Amoco’s Worldwide Exploration Group in Houston, to help implement the ideas (e.g. AVO) that he had earlier helped to invent. After the 1999 merger, he served in BP's Exploration and Production Technology Group in Houston as Principal Geophysicist and Senior Advisor. Following retirement from BP in 2008, he remains professionally and scientifically active as Chief Scientist of Delta Geophysics (http://DeltaGeophysics.net), as Research Professor at the University of Houston, and as Visiting Scientist at Lawrence Berkeley National Laboratory. Thomsen was an early recipient (1960-64) of an SEG Scholarship. He received SEG’s Fessenden Award in 1994. He served as SEG Distinguished Lecturer in 1997 and as SEG/EAGE Distinguished Instructor in 2002. He is an Honorary Member of GSH and of EAGE. He is a Foreign Member of the Russian Academy of Natural Sciences, and holder of their Kapitsa Medal. He served SEG as Vice President, as President-Elect, and as President (2006-07). He currently serves on the SEAM Board of Directors.